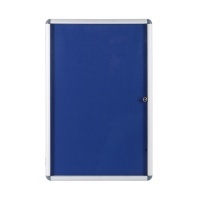 Great value locking snap frames - our locking frames are secured from unwanted attention by a hexagonal key lock. 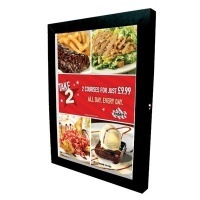 These lockable snap frames are intended for areas where you want your posters protected. 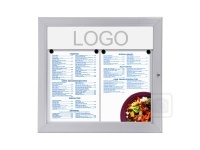 Your poster is secure from interference or casual theft but easily accessible to you. 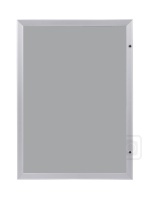 The locking method is by an allen screw in one side of the poster frame. The other three sides are inter-locked in such a way that they cannot be opened until the first side has been opened. Additional hexagonal keys are available as spares. 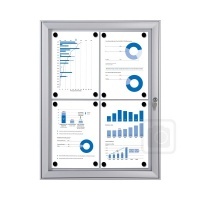 Economy notice board design with an aluminium framed clear front panel and felt pin board back. 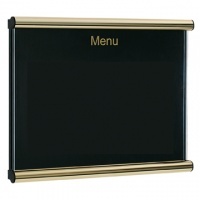 Suitable for a wide variety of indoor applications for use in offices, schools, retail and leisure.